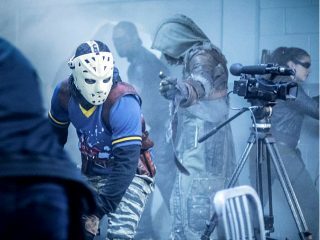 Oliver Queen’s new team of vigilantes may still be a bit green, but Wild Dog, Mr. Terrific, Ragman, and Artemis are ready for action in this week’s new episode of Arrow. 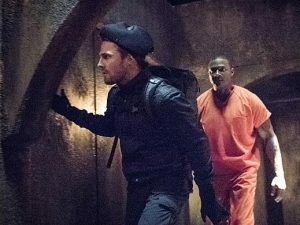 When Oliver attempts to spring Diggle from prison, it’s up to his new recruits to take on Star City’s new crime lord without him. 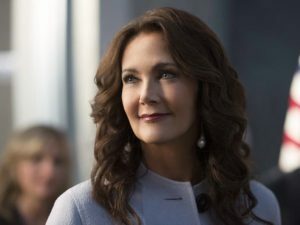 Also this week: Wonder Woman‘s Linda Carter guest stars on Supergirl as the President of the United States, and The Walking Dead shifts gears from Negan’s horror show to a new hope in a community called the Kingdom. 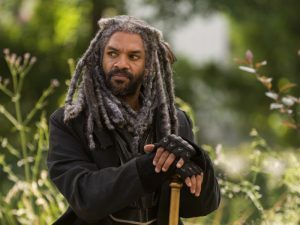 Vixen (Maisie Richardson Sellers) joins the Waverider crew as the Legends of Tomorrow visit feudal Japan, and the Flash meets one of the comic book’s most notorious villains in Mirror Master. “Follow the White Rabbit.” Mad Hatter sets his eyes on his next victims, forcing Jim Gordon to make some tough decisions. 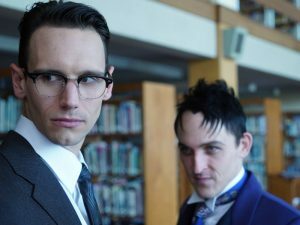 Meanwhile, Penguin and Nygma’s relationship evolves, and a familiar face comes back into Nygma’s life. “Welcome to Earth.” An attack is made on the President as hot-button, alien vs. human rights issues heat up in National City. 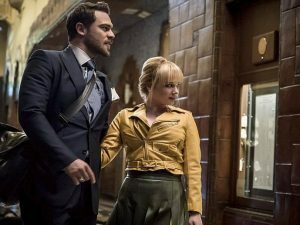 Supergirl and the DEO are assigned to protect the President and bring in the responsible party. 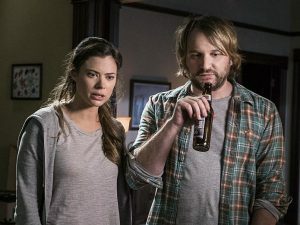 Alex teams up with Detective Maggie Sawyer to investigate the case while Kara searches for a recently escaped Mon-El, who she fears may be the alien behind the assault. “The New Rogues.” Barry continues to train Jesse and when a new meta human, Mirror Master, appears on the scene he lets her tag along. Mirror Master has teamed up with his old partner, Top, and is looking for Snart to even a score. Jesse is quick to join the chase but defies one of Barry’s orders which results in disastrous consequences. “Lockup.” As Robbie Reyes struggles to control The Ghost Rider, S.H.I.E.L.D. infiltrates a high-security prison to unravel the secrets that haunt them all. “Penance.” Oliver and Lyla team up on a secret mission for Diggle. Felicity finds out and disapproves of the plan and opts to stay behind. When Tobias Church launches a deadly assault against the city, Felicity must decide if she wants to send the recruits out sans the Green Arrow. “Bleed Over.” With the date of Julie’s abduction rapidly approaching, Raimy and Frank each work to gather information from a girl whose mother was taken by the Nightingale. Meanwhile, Raimy meets Kyle who immediately remembers her from a brief encounter in the past. She doesn’t recognize him at first, but flashes of their night together come rushing back to her. 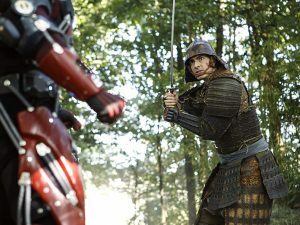 “Shogun.” Nate is shocked to learn that he has powers but then accidentally lands himself and Ray in Feudal Japan. After Sara convinces their stowaway Amaya, a.k.a. 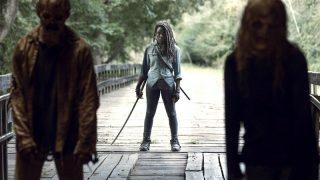 Vixen, that Rory is not a murderer, they all agree to find Nate and help him master his powers in order to defend the Japanese village from the Shogun and his army of samurai warriors. “Dark Waters.” Emma tries to convince Aladdin to work with Jasmine to help Agrabah, while Regina teams up with Snow and David to free Archie from Zelena. The Evil Queen sows suspicion between Henry and Hook, even as Mr. Gold reminds her of his most important lesson. 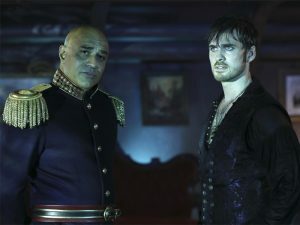 Meanwhile, in the past, Hook finds himself kidnapped by the mysterious Captain Nemo and held captive inside his legendary submarine, the Nautilus. “The Well.” For a number of familiar faces, a new, well-established community seems too good to be true. “Contrapasso.” Dolores, William and Logan reach Pariah, a town built on decadence and transgression — and are recruited for a dangerous mission. The Man in Black meets an unlikely ally in his search to unlock the maze.